In support of my sugar-free eating, yet catering to my love of a sweet treat with a cup of coffee i tried this recipe. 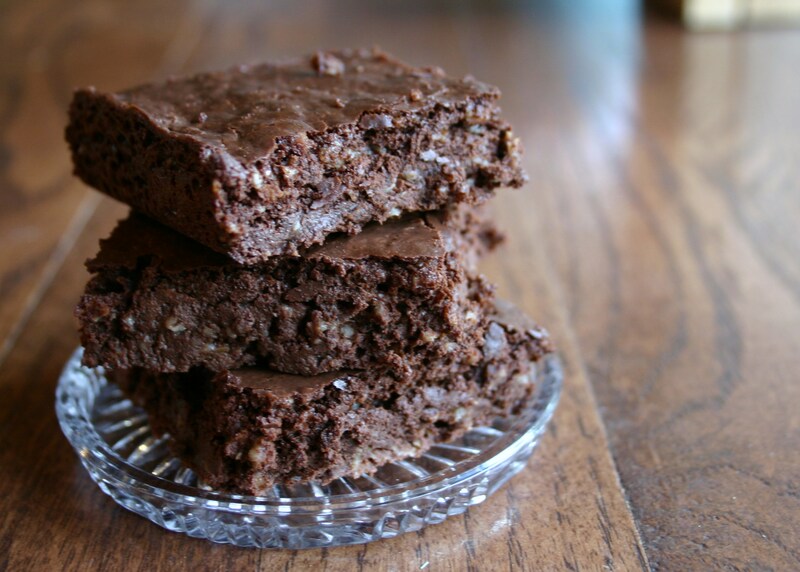 Because i have no need to re-do something someone else has done a great job with i will just let you click the teal Brownie link for the recipe i used. The original recipe calls for 1/2 cup Truvia, i used 1/4 cup Truvia + 1 Tbsp. pure stevia powder, my brand is NuNaturals NuStevia. i buy it on Amazon. i only had peach greek yogurt in the house and it worked deliciously. My Review: If you are hoping for a rich fudgy super sweet old fashion sugar and fat filled bite of chocolate, this is not going to be your thing. My Man took one bite, “what is wrong with these?” was his review. If you are careful about sugar intake and want a chocolaty, fudgy sweet treat added to your options, these are for you. 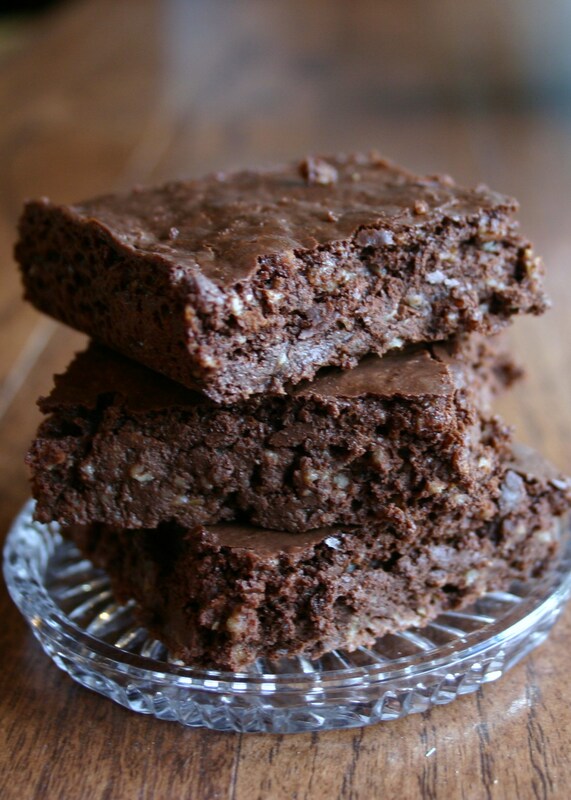 They are moist, dark, rich, chocolaty and the oats add a nutty touch. i like them, i make them often. Sugar is not doing anything nice to me as i age, this is a great dessert option for me with no sugar, no added fat + lots of protein and fiber. i cut mine into 12 squares, making them 30 calories each. 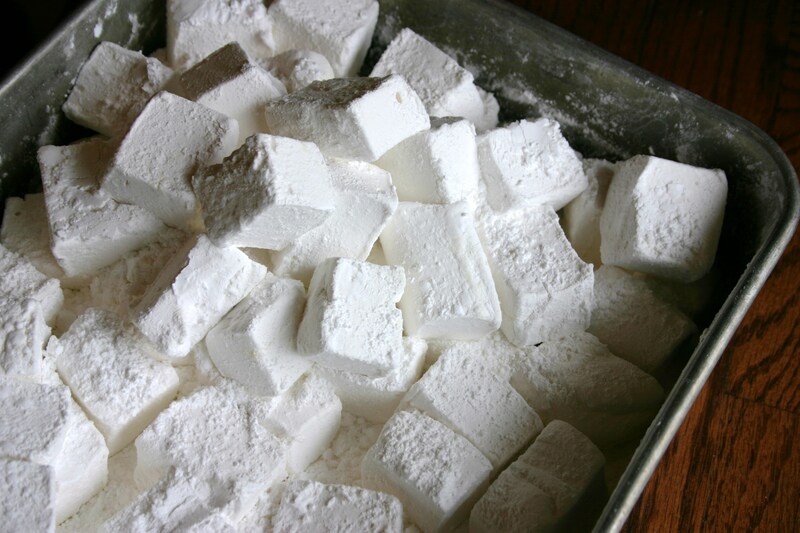 Just because i have to keep everything tilt-a- whirly and unpredictable i also made these packed full of sugar marshmallows. 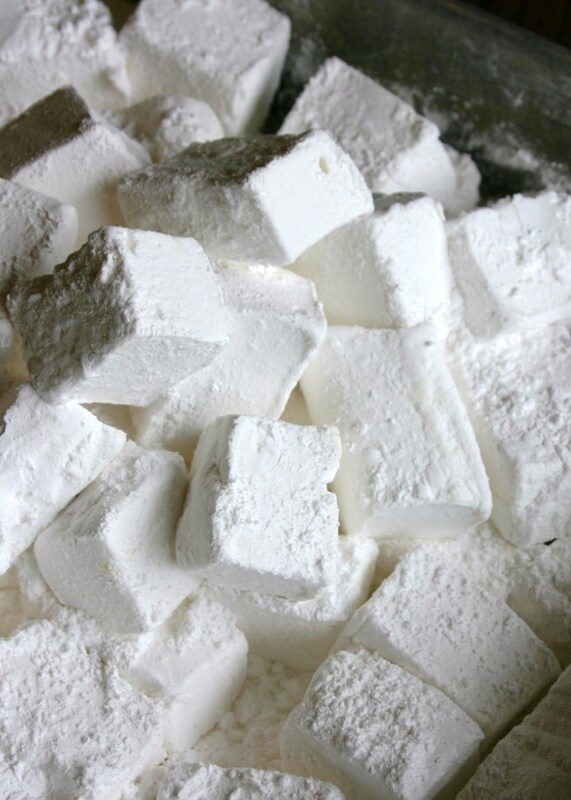 i am working on a Pinterest-y s’mores buffet for our nephew’s bridal shower this weekend, i kept finding homemade marshmallows listed as a must have dreamy creamy addition. i was skeptical as i think i remember my mom having a bad experience in this chapter of the culinary arts. i will investigate that further. My experience really was dreamy and creamy and ohhhh so yummy, i am not certain how i know that since i am not eating sugar but the word on the street is delicious! i made no changes to the original recipe and i like this girl’s food blog a lot, she has a graham cracker recipe i am giving a whirl tomorrow. My review and lessons learned: These are so good! i read they are amazing roasted or topping a chocolaty hot drink so i kind-of can’t wait for Sunday to give the roasting a try. 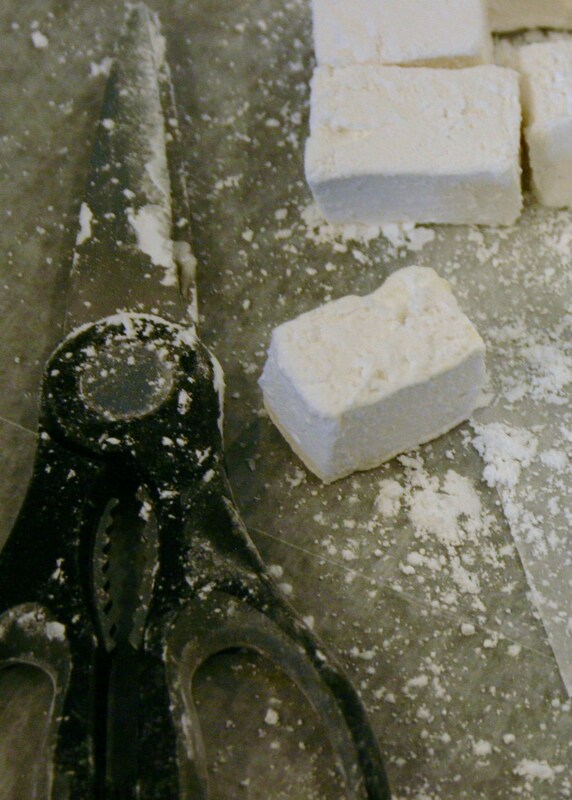 i found it really tough to get the gelatin to dissolve smooth, i knew any chunks would ultimately end up messing with the smooth texture of the marshmallow, i solved this by pressing the mixed chunky gelatin through a fine metal sieve. Boom! Perfect! i did not keep the heat low enough because i am infamously inpatient and i ended up with cooked sugary syrup all over my stove from an impressive volcanic cook-over. Be sensible and cook it slowly, you will have a lot less clean up than i did. i would recommend you have a stand mixer, i think a hand mixer could make this less enjoyable. if you own cast iron that would be a great idea for the cooking stage. The recipe is easy and was very successful, they turned out really nice.